Hamlin led a clean sweep for Joe Gibbs Racing, which went 1-2-3 in an overtime finish that honored team co-founder J.D. Gibbs following his death last month from a long battle with a degenerative neurological disease. It was an emotional weekend at Daytona International Speedway for Joe Gibbs, who leaned on his eldest son to run their NASCAR operation while he coached the Washington Redskins. J.D. Gibbs was a driver, a tire changer, team executive, talent scout and the guy who discovered a struggling Virginia short track racer who is now a two-time Daytona 500 winner. J.J. Watt used an offseason film session to prepare for the Daytona 500. The Houston Texans star and Daytona 500 grand marshal watched video of the last decade of celebrities who kicked off the race with the most famous phrase in motorsports. Watt said Dale Earnhardt Jr. had "tons of energy" during last year&apos;s command. 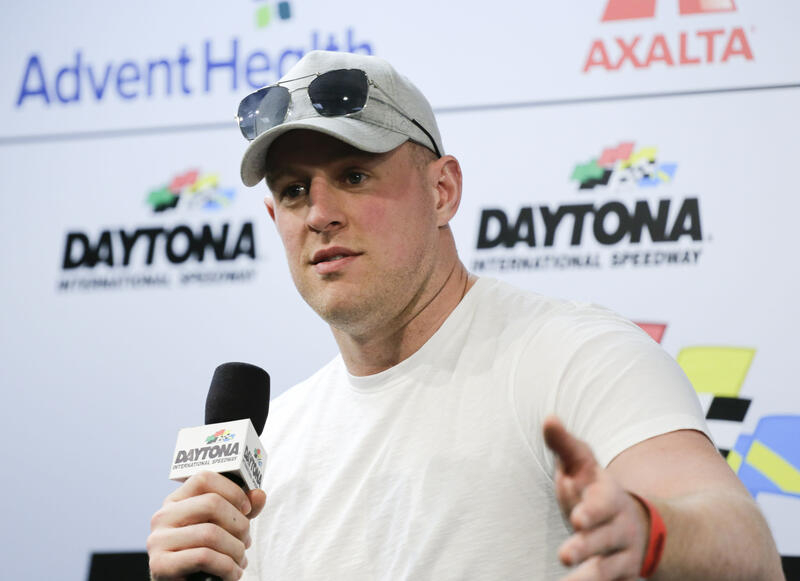 The 2019 NASCAR season will get underway on Sunday with the help of Houston Texans defensive end J.J. Watt. Watt has been named as the grand marshal of “The Great American Race.” It&apos;s the first time an NFL player has served in the role for the race, which comes with the command for drivers to start their engines. “I am honored to have the opportunity to serve as Grand Marshal for this year&apos;s &apos;Great American Race,&apos;” Watt said in a statement. Truex fell one spot short of winning his second consecutive NASCAR Cup championship in a determined bid to send Furniture Row Racing out a winner . Truex stayed in contention until the final laps in a season where one of his top sponsors abandoned him and his team was set to go out of business. It was, Truex noted, &apos;&apos;one of those years where you can&apos;t believe everything that was going on. The NBA is in full swing, MLB&apos;s hot stove is about to start boiling over and the race for NASCAR&apos;s championship just got a lot more interesting. Meanwhile, in college footballl, Alabama proved to be the machine everybody thought they were. The New Orleans Saints on Wednesday announced the signing of Bryant to a one-year, $2.5 million deal. 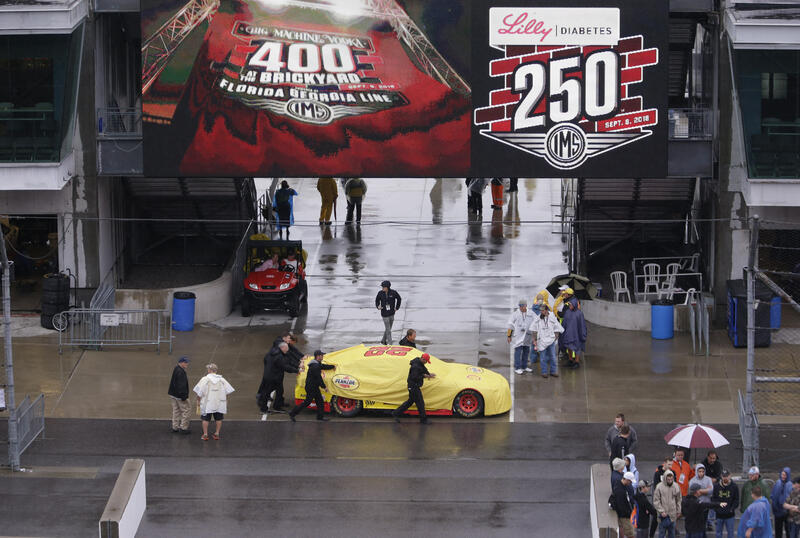 Jimmie Johnson doesn&apos;t have a playoff spot locked in as the seven-time NASCAR champion prepared for rain-drenched Indianapolis Motor Speedway and the final race of the regular season. Johnson is in a 48-race losing streak headed into the Brickyard 400 and his Hendrick Motorsports team has been inconsistent all season. It&apos;s put him up by just 19 points over Hendrick Motorsports teammate Alex Bowman in the battle for the 15th position on the playoff grid.